On October 28th, the National Polar-orbiting Operational Environmental Satellite System Preparatory Project (NPP) satellite launched into low-Earth orbit from Vandenberg Air Force base in California. Designed to observe Earth’s environment and climate, it’s in an 800 km (500 mile) orbit, and on November 21 it took its first images of the planet below. And what a picture! Check. This. Out. This zooms in a bit to show Florida, Cuba, and part of Hispaniola. You can really see an amazing amount of detail, even in this compressed version. But wait! We can zoom in even more! Yegads. 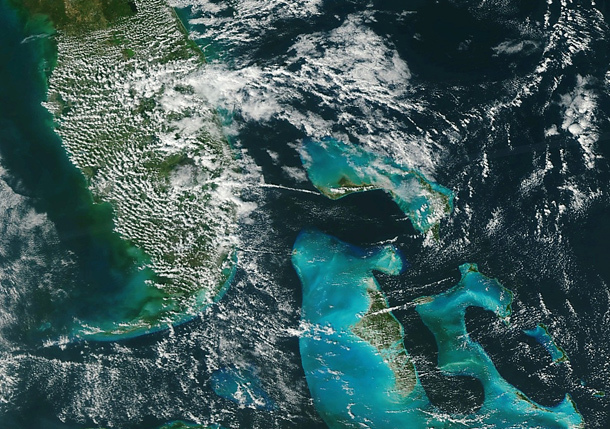 Florida dominates the upper left, with stippled clouds and Lake Okeechobee visible. You can also see the jade-green Atlantic waters, and the islands of the Bahamas, Nassau, and Freeport. And even that isn’t full-res! Download the big picture to scan over it yourself. It’s stunningly beautiful. 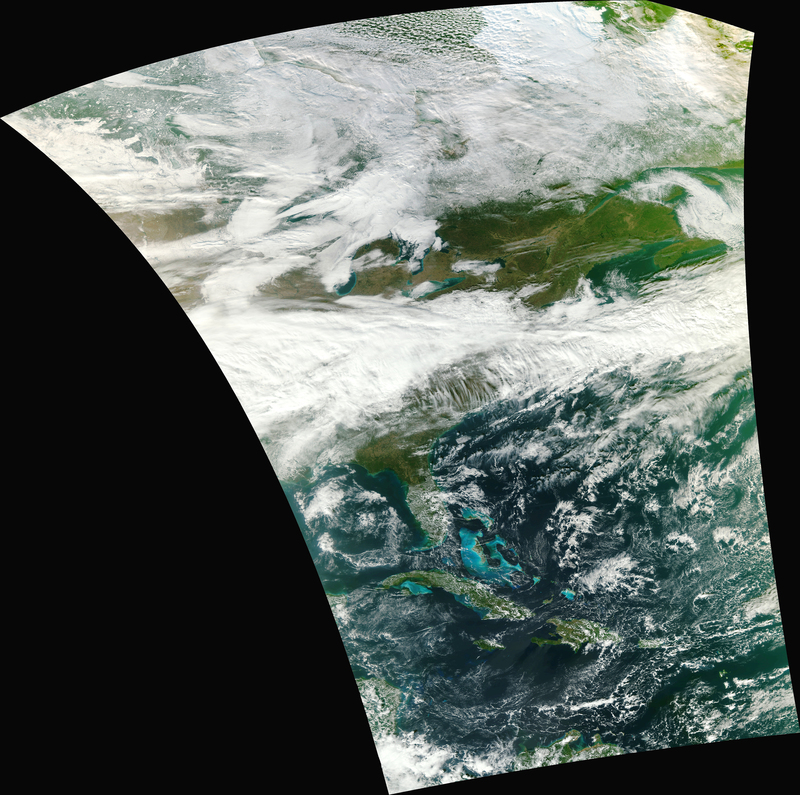 The image was taken with the Visible Infrared Imager Radiometer Suite, or VIIRS, which, as its names states, takes visible and IR images of the Earth. It can be used to observe hurricanes, fires, ocean surface temperatures, aerosols in the air, volcanoes, and more. It continues the incredibly valuable work done by the MODIS instruments on Terra and Aqua, two NASA Earth-observing satellites. All of these data are extremely important, in that they provide a continuous observational database of the Earth — a dynamic system that changes on very short timescales. 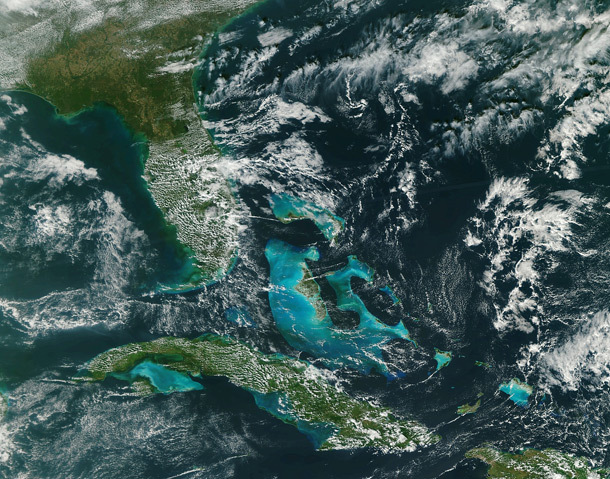 VIIRS can deliver this data rapidly, making it that much more an asset in NASA’s toolbox. Even as NASA’s budget gets cut, and even as climate change denial continues, the science rolls on. We must study our planet if we are to understand it, and we must study it if we are to continue to survive on it. 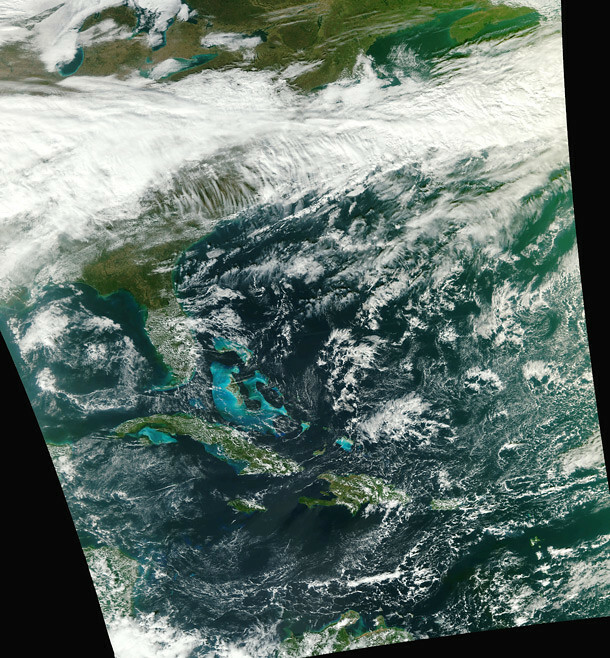 NPP and VIIRS will help scientists — all of us — in that task. – Oh. So that’s why they call it that.